Do your kids have an interest in technology, building robots, coding, creating video games, building websites, photography, digital video, or making amazing Minecraft worlds? Then they will love the summer programs from Fleming Tech Camps at Prince George’s Community College. To achieve our mission, Fleming Tech Camps partner with schools, museums, universities and summer camps to help those organizations offer state-of-the-art technology programs. This summer, Prince George’s Community College will partner with Fleming Tech Camps to host four of our amazing summer camp programs. Parents can enroll their campers in up to four weeks of Tech Camp at Prince George’s Community College. For families looking for multiple weeks of summer camp programming Prince George’s Community College can offer your family amazing flexibility. You can enroll your child into one, or more, weeks of Fleming Tech Camps and academic program. Summer camp programs at Prince George’s Community College run from 12:30 to 3:30PM. However, Prince George’s Community College also offers morning academic enrichment camps and PM extended day options for parents that need addition flexibility. In the summer of 2019, Prince George’s Community College and Fleming Tech Camps will offer four weeks of programs, with two technology programs each week. Throughout the summer, we will offer technology camps for two groups: rising 2nd through 4th graders and rising 5th through 8th graders. This camp is designed for campers who have already taken “Minecraft 4 Kids: Level 1” or who have a wealth of experience with Minecraft and already know the basics of game design. This camp is created for those campers who want to discover more about the amazing game of Minecraft and how to build game worlds within the Minecraft platform. 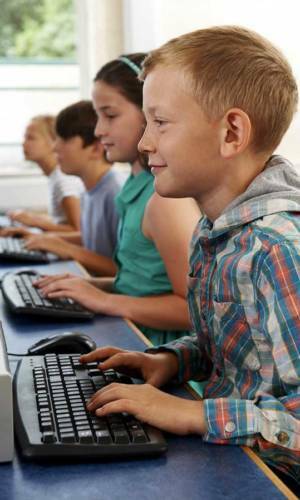 Campers will learn how to create sophisticated gaming adventures using the PC version of Minecraft. Campers are provided with step-by-step instructions and best practices on how to develop games and adventures within Minecraft. Prior experience with Minecraft is necessary, but all skill levels are welcome to participate.